"At the end of your life, it's not going to matter how many breaths you took but how many moments took your breath away"
With busy lives, we can easily lose touch with ourselves and develop unhelpful patterns that undermine our well-being. Mindfulness, one-to-one therapy, or counselling can help you develop a different relationship with yourself – and intimate partners, friends, family, colleagues and people you encounter daily – and with life more broadly. Painful events in the present, memories of the past, or worries about the future can make it difficult to enjoy life or move forward. If you're in difficulties – or need to broaden your perspective – I can help you manage something that’s going on right now, or come to terms with the past. Mindfulness is a meditation-based approach that helps us get more out of our lives. The style of learning is experiential: we cultivate skills and move towards understanding their effectiveness directly through practice – rather than reading or hearing about them. The effectiveness of mindfulness has a strong evidence base, explained by contemporary neurological research, and validated by NICE: the National Institute for Health and Care Excellence. Based on awareness of the body and breath, mindfulness develops awareness of the activity of the mind. Mindfulness skills help us work with physical or emotional pain, stress, fatigue, chronic illness – and the ups and downs of ordinary everyday life. I’m inspired by the capacity of mindfulness to change lives – and love sharing this so others may benefit. At the heart of my work lie a long-standing meditation practice, and personal experience of how mindfulness has helped me manage my own chronic ill-health. As an experienced mindfulness practitioner, and trained in teaching mindfulness to an advanced level, I’ve offered mindfulness-based cognitive therapy (MBCT) and mindfulness-based stress reduction (MBSR) courses for many years in the voluntary and public sectors. I care deeply about upholding the quality of course content and delivery, and as a trained and experienced supervisor of other teachers of mindfulness-based approaches, support others in offering mindfulness training to a high standard of professionalism and integrity by offering one-to-one supervision and running group training seminars. I have extensive training in the theoretical framework and teaching of mindfulness-based approaches, with a postgraduate diploma (PGDip) from the Centre for Mindfulness Research and Practice (CMRP) at the University of Bangor, pre-eminent base of mindfulness research and development. I'm registered with the UK Network of Mindfulness Teachers, the body which upholds professional and ethical standards in the field, am an approved supervisor with the UK Mindfulness Network CIC and listed on Mental Health Foundation’s Be Mindful website. I'm also trained in the Breathworks mindfulness approach to managing chronic pain and illness. I'm a qualified and trained therapist/counsellor, and registered member of the British Association of Counsellors and Psychotherapists (BACP). To deepen and refresh my own mindfulness meditation practice, I regularly go on retreat. Mindfulness Courses for Healthy Living are suitable for people who simply want to enrich the quality of their lives – as well as those who want to manage stress, anxiety, low mood, and other specific behavioural patterns or chronic conditions. I normally run 6 9-week courses (starting January, April/May, and September/October) and a couple of top-up courses, each year. There are various mindfulness-based approaches, most commonly MBCT (Mindfulness Based Cognitive Therapy) and MBSR (Mindfulness Based Stress Reduction), which have strong similarities. The approach I generally offer closely adheres to the MBCT model. I'm also trained and experienced in MBSR and the Breathworks programme for chronic pain and illness. Generally speaking, it’s not necessary to appreciate the comparatively minor differences between the various approaches unless you are looking for a course specifically aimed at populations working with particular issues. ... and those with experience of mindfulness I run regular mindfulness days. I also offer 9-week mindfulness courses (usually 6 courses a year, starting January, April/May and September/October). I run 3-week top-up courses, usually twice a year. You're welcome if you've already done at least one mindfulness course: Mindfulness for Healthy Living, MBCT, MBSR or Breathworks. As part of the mutual support available through the UK Network of Mindfulness Teachers, I provide supervision for people training, or already trained, to teach mindfulness. For experienced mindfulness teachers I offer mentoring in relation to specific projects. I offer occasional specialist workshops for mindfulness teachers to develop inquiry and other skills. For mindfulness teachers, therapists and health professionals committed to bringing mindfulness into their work, I also run an ongoing monthly therapy group which meets on the second Tuesday of the month in north London. If, when you've read the page for mindfulness teachers you'd like more information, do contact me. For most people, an 8- or 9-week course is the most beneficial way to learn mindfulness. For those who are unable to commit to such a course, I do sometimes have limited availability to offer a block of 6 weekly one-to-one mindfulness sessions. "You're an excellent teacher, and have given me a great deal." "I enjoyed this course far more than I ever thought I would!" "I've found Lokadhi an inspirational course leader in many ways." "Thank you, Lokadhi! You have made a real difference to my life." "I’ve learned how to slow down and reflect." 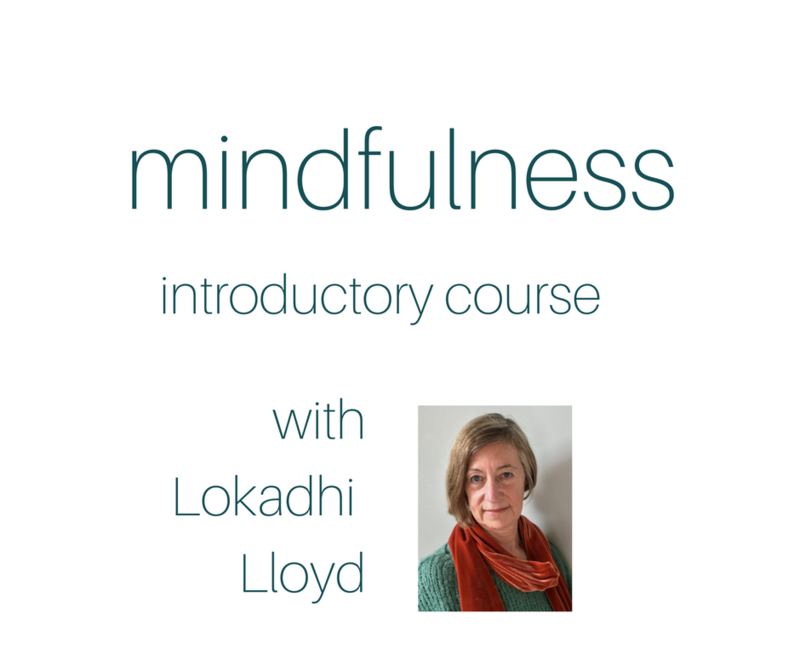 Read more about mindfulness with Lokadhi. Mindfulness Courses for Healthy Living are suitable for people who simply want to enrich the quality of their lives as well as those who want to manage stress, anxiety, low mood, and other specific behavioural patterns or chronic conditions. I currently offer 3 mindfulness courses: a 3-week introductory course, 9-week course and a 3-week top-up course for people who have previously attended courses. See more information on all courses below. This short introductory course is for you if you would like to experience mindfulness or compassion training but don’t feel ready, or able, to commit to a 9-week course. It’s also suitable for those who have done a longer course and would like a refresher. Mindfulness Courses for Healthy Living are normally run 6 times a year (January/March, April/June and October/November) at the North London Buddhist Centre, 72 Holloway Road, London N7 8JG. They follow the MBCT model and are entirely secular in content. You're welcome if you've already done at least one mindfulness course (Mindfulness for Healthy Living, MBCT, MBSR or Breathworks) and want to take your practice deeper. Also at the North London Buddhist Centre, 72 Holloway Road, London N7 8JG. 72 Holloway Road, London N7 8JG. The Centre handles all matters relating to place availability and bookings. Once you’ve booked, you need to register online before your place on the course is confirmed; please allow up to a week for this process. "The course has left me with profoundly positive experience, and plenty of curiosity to continue." "You have an engaging conversational style of teaching which sits with me very well." "The poetry really hit the spot each time – resonated with what was going on for me." “I’ve become more aware of being kinder to myself – I look after myself." "Coming to the sessions each week has helped break some of my ‘inert’ evening patterns of behaviour." "I’m more centred, self-aware and more able to deal with difficult emotional situations." "I’ve valued the group work, and your gentle, skilful teaching. I also enjoyed the practice day very much." "I feel more alive after doing the course. And I've made good connections with people." “The course was recommended by a friend who also suffers from migraines, as it helped her." “I found taking on the home practice hard but didn’t give up on the bigger picture, allowed for progress." Learn key mindfulness practices to integrate into everyday life. I offer one-to-one mindfulness training in blocks of 6 weekly sessions, -which can be based around a specific life theme. Following an initial consultation where we will explore what the most appropriate approach might be for you, I will guide you through a programme designed to help you establish a personal mindfulness practice (face to face or online). 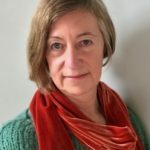 I offer an initial mindfulness consultation, followed by a series of 6 one-to-one sessions at Barnsbury Therapy Rooms, 144 Liverpool Road, Islington, London N1 1LA. These sessions - by Skype, Google Hangout or Zoom - are suitable if you are unable to meet in person for any reason, or if you don't live in London. how do I arrange a session with Lokadhi? You can send me an email via the contact form at the bottom of this page. "So glad I did the course - I want to continue, and will book myself into regular practice days, otherwise I won't!" As an experienced, trained supervisor listed with the Mindfulness Network CIC I support other mindfulness teachers through regular one-to-one or group supervision sessions. I run a monthly mindfulness therapy group for therapists, counsellors, clinical practitioners and others committed to bringing mindfulness into their professional work. By filling out the contact form you will be sending an email including your personal data in the form of your name and, email addresss and your message which will be stored in my email system for the purpose for direct email communication with you. Your personal information will not be passed to any third party. By filling out your details below you are giving consent to add your personal data in the form of first name, last name and email address to be stored in my Mailchimp account and to receive email newsletters. Your details will not be passed to any third party.